Say “Yes” to an Amazing Evening! Ready to toast to literacy? The third annual “Reading between the Wines,” is presented by Classic Chevrolet Sugar Land and Safari Texas and co-chaired by Dana Sitton and Bonnie Stewart. You’ll rub shoulders with best-selling authors and revel in a celebratory atmosphere with fabulous wine provided by Allison Wen and Safari Texas Ranch, amazing eats from a variety of local food vendors, and exciting auctions. This year you’ll enjoy New York Times best-selling author Linda Castillo, the award-winning author of over thirty books, including the recent thriller “Sworn to Silence,” filmed as “An Amish Murder,” starring Neve Campbell. Your tax-deductible admission to this “can’t-miss event” includes an opportunity to hear Linda speak, as well as the chance to purchase an autographed copy of Linda’s books, and the opportunity to purchase autographed books and meet additional featured authors including Dr. Rebecca Deurlein, Benjamin Lewis, Shubhra Ramineni, Lynda Rutledge and Janice Scheve. Visit our website or Facebook page for more information and mark your calendar for “Reading between the Wines” at 7:00pm on Friday, February 6, 2015 at Safari Texas Ranch. 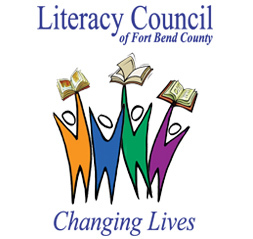 For reservations, sponsorship information or to learn more about Reading between the Wines, please visit www.ftbendliteracy.org or contact Cari at 281-240-8181 or cmiddaugh@ftbendliteracy.org.